Randy Couture was unable to bounce back from his heavyweight title loss to Brock Lesnar, as “The Natural” lost the main event of UFC 102. Antonio Rodrigo Noguiera scored a unanimous decision over Couture, who put up a great fight that brought the crowd to its feet. Big Nog advanced to title eliminator fight against Cain Velasquez at UFC 110. In the co-main event, Thiago Silva knocked out “The Dean of Mean” Keith Jardine in 95 seconds. Anderson Silva took a break from dominating the middleweight division to beat Forest Griffin in a light heavyweight superfight at UFC 101. Silva turned the Philly fans’ boos to cheers by knocking Griffin out with a right hand at the 3:23 mark. 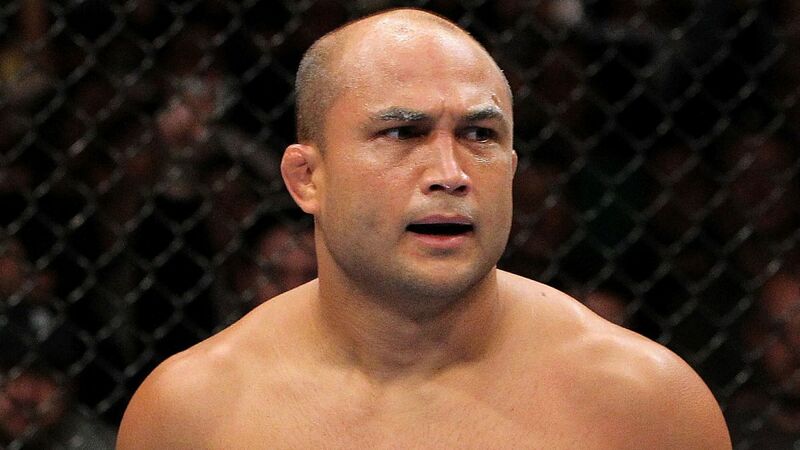 BJ Penn retained the UFC lightweight title, beating Kenny Florian in the fourth round with a rear naked choke. Johny Hendricks needed only 29 seconds to score a TKO win over TUF 7 winner Amir Sadollah. Brock Lesnar seized control of the heavyweight division and smashed the pay-per-view record at UFC 100. Lesnar pounded Frank Mir en route to a second-round TKO, avenging to avenge his UFC debut loss. 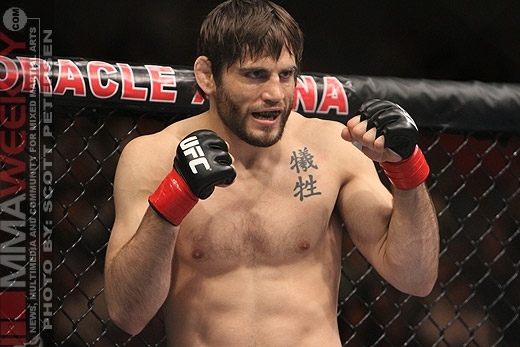 Mir had been carrying the interim UFC heavyweight title. 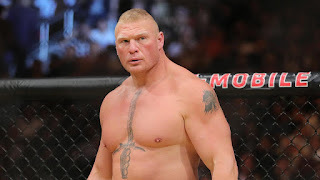 Lesnar’s following from the WWE led to UFC 100 scoring 1.6 million pay-per-view buys, a new record. Georges St. Pierre won his sixth fight in a row, beating Thiago Alves by unanimous decision to retain the UFC welterweight title. 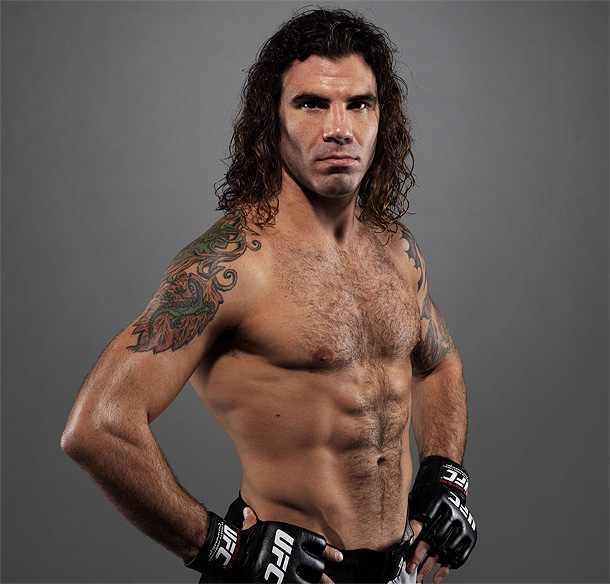 Clay Guida and Diego Sanchez tore the house down in the main event of the TUF Season 9 finale. Sanchez used submission attempts down the stretch to score a split decision over “The Carpenter” in one of the best fights of the year. 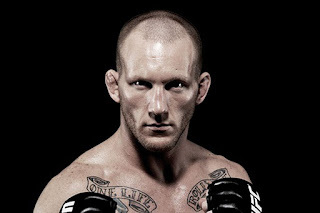 Michael Bisping coached the British team in The Ultimate Fighter competition, with Dan Henderson leading the Americans. Bisping and Henderson battled each other at UFC 100. Ross Pearson won the TUF 9 lightweight tournament by unanimous decision over British teammate Andre Winner. Pearson became a UFC mainstay over the next decade. Rich Franklin and Wanderlei Silva earned a standing ovation at UFC 99 from the German fans, who were witnessing their first live UFC action. Franklin is a former middleweight champion in UFC, while “The Axe Murderer” held that title in PRIDE. On this night, they competed at a 195-pound catchweight, and Franklin won a unanimous decision. 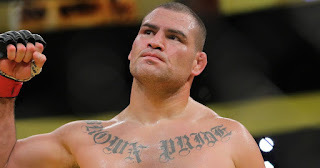 Cain Velasquez (6-0) moved closer to a heavyweight title shot with a unanimous decision over Cheick Kongo, who had been enjoying a three-fight winning streak. Mirko Cro Cop made “The Comeback” a successful one, beating Mostapha al-Turk in 3:06 after a two-year absence from UFC. Lyoto Machida captured the UFC light heavyweight title, handing Rashad Evans his first career loss at UFC 98. Machida, a former sumo and karate champion, used a right-left combination to knock “Suga” out and claim the title. In a battle of former welterweight champions, Matt Hughes won a narrow but unanimous decision over Matt Serra. All three judges scored the fight 29-28 in favor of Hughes. Drew McFedries beat Xavier Foupa-Pokam by TKO in 37 seconds. Chael Sonnen beat Dan Miller by unanimous decision, as Miller also landed in the loss column for the first time. 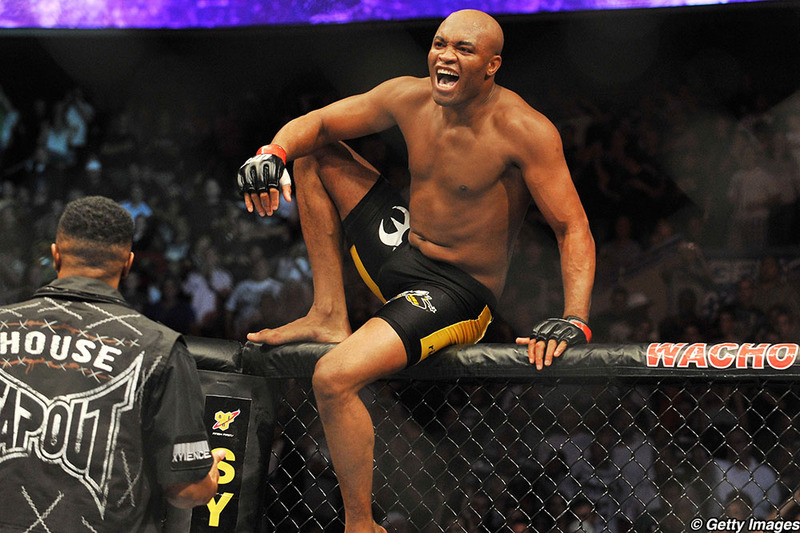 Anderson Silva and UFC enjoyed a record-breaking night at UFC 97 in Montreal. Silva retained his UFC middleweight title with a unanimous decision over Thales Leites. 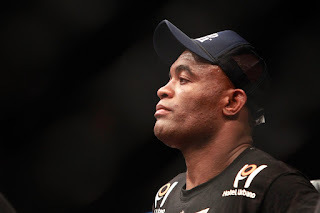 The fans booed the action (or lack thereof), but Silva had two records to take home along with his championship belt. 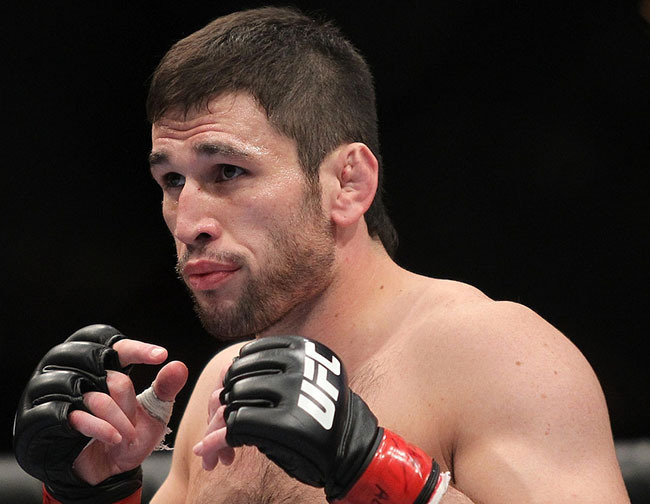 “The Spider” set a new record with nine consecutive wins in the Octagon. He also tied a record with his fifth straight successful title defense. UFC broke its attendance record with a crowd of 21,451, drawing 61 more fans than one year earlier at UFC 83. That show also took place in Montreal. Chuck Liddell’s return was spoiled by Mauricio Rua. 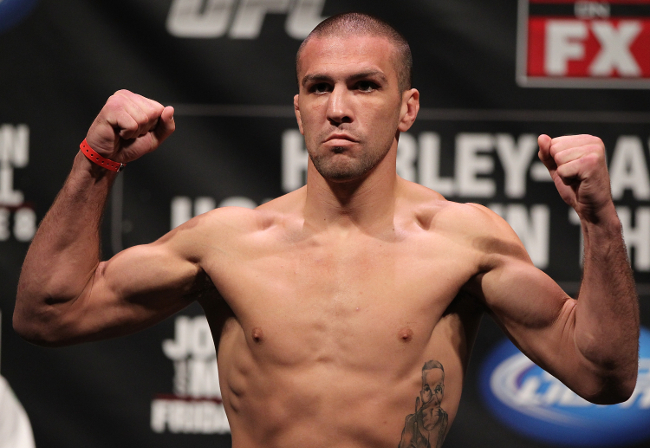 “Shogun” dropped Liddell with a left hook and finished him with a series of rights at 4:28. Martin “The Hitman” Kampmann broke Carlos Condit’s eight-fight winning streak in the main event of UFC Fight Night 18. Condit had built his reputation in the WEC as its welterweight champion. He was coming off three successful title defenses and made his UFC debut here in the main event. 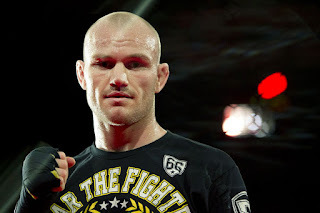 Kampmann, a Danish fighter who had won six of his previous seven bouts, used several submission attempts to score a split decision with scores of 29-28, 28-29 and 29-28. This show served as the lead-in for Season 9 of The Ultimate Fighter, which had a USA vs. UK theme. The coaches were Dan Henderson and Michael Bisping. Quinton “Rampage” Jackson picked up his 30th career win by defeating Keith Jardine in the main event of UFC 96. 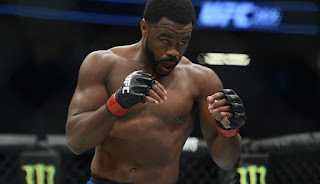 Rampage didn’t have to ask for a UFC light heavyweight title shot, as champion Rashad “Suga” Evans challenged him after the bout. 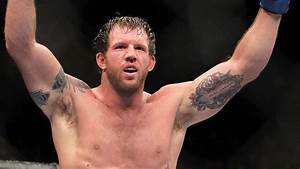 Shane Carwin (11-0) knocked out Gabriel Gonzaga in 69 seconds, but he would have to wait another year to get a shot at heavyweight gold in the UFC. Diego Sanchez survived a bloody war with Joe “Daddy” Stevenson in the main event of UFC 95. Sanchez, who dropped to the lightweight division, beat Stevenson by unanimous decision in a battle of The Ultimate Fighter winners. An audience of 2.4 million watched the tape-delayed show on Spike TV. In the co-main event, Dan Hardy knocked out Rory Markham in 69 seconds. 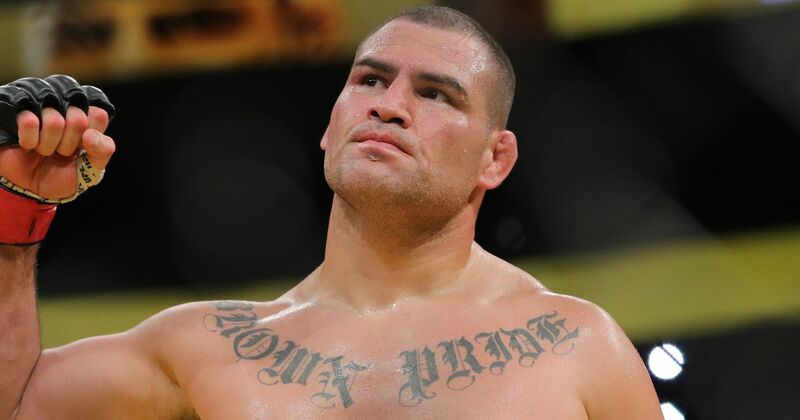 Cain Velasquez proved unstoppable at UFC Fight Night 17, beating Denis “The Menace” Stojnic in a heavyweight bout. Velasquez, who would eventually win two UFC heavyweight titles, improved to 5-0 by defeating “The Menace” from Bosnia. In the main event, Joe Lauzon improved to 18-4 with a win over Jeremy “Lil Heathen” Stephens with an armbar in Round 2. Stephens was substituting for the injured Hermes Franca. Josh “The Dentist” Neer battled through a cut near his eye to beat Mac Danzig with a triangle choke in Round 2. Neer picked up his fourth win in five fights. Georges St. Pierre bested BJ Penn in a battle of champions at UFC 94, but a greasing controversy clouded his victory. GSP used an overwhelming ground-and-pound attack to defend his welterweight title against Penn, who tried to add the belt to his lightweight championship. While Penn failed to continue after four rounds, he later sought an investigation into his claim that GSP was covered in too much Vaseline. While the decision stood, a new rule was enacted limiting the use of grease to a fighter’s face. GSP also won his first meeting against Penn by split decision at UFC 58. 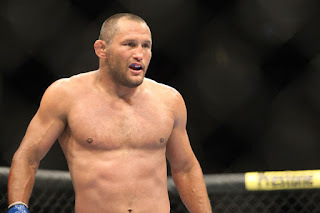 Dan Henderson continued his recovery from the loss of two championships by beating Rich Franklin in the main event of UFC 93. Franklin’s middleweight title was not on the line, as the bout took place in the light heavyweight division. 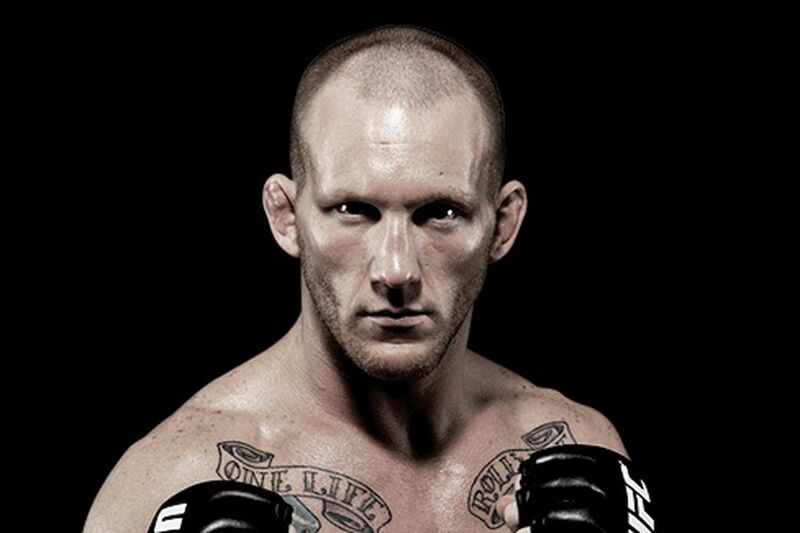 With the victory, Henderson earned a spot as The Ultimate Fighter Season 9 coach opposite Michael Bisping. 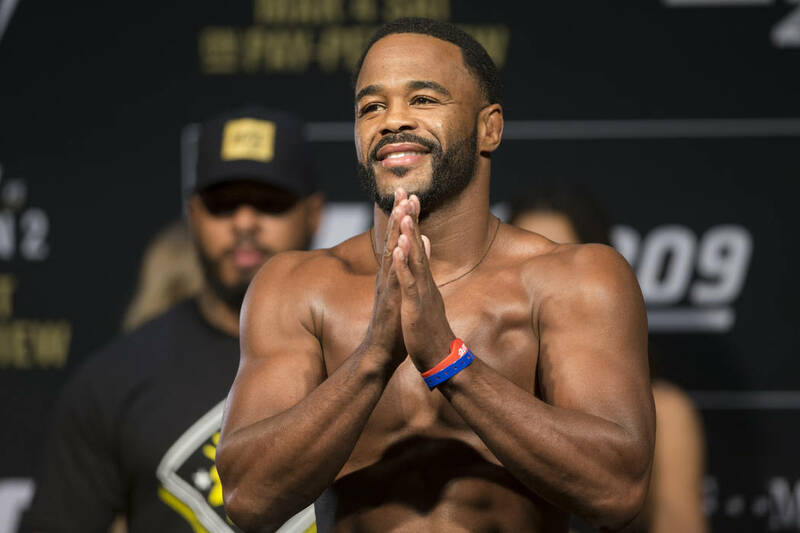 Henderson scored his second straight win since dropping his PRIDE 83 kg and 93 kg titles to Anderson Silva and Rampage Jackson, respectively. Mark Coleman battled Mauricio “Shogun” Rua in rematch from PRIDE 31. Both men’s teams got into a brawl, and Rua scored the TKO win with 24 seconds left. Rousimar Palhares picked up his seventh win in eight fights with a unanimous decision over Jeremy Horn. Alan “The Talent” Belcher used a guillotine choke to beat Denis Kang in Round 2. “The Irish Hand Grenade” Marcus Davis kicked off the pay-per-view with a split decision over Chris Lytle. All of the preliminary fights ended with finishes. England’s John “The Hitman” Hathaway made his UFC debut with a TKO win over Tom Egan at the 4:36 mark. Martin Kampmann beat Alexandre Barros with a second-round TKO. Eric Shafer beat Antonio Mendes by TKO at 3:35. Poland’s Tomasz Drwal came back from knee surgery and a 16-month layoff to knock out Ivan Serati at the 2:02 mark. Dennis Siver returned to the Octagon to beat Nate Mohr with a spinning back kick, followed by punches for the TKO win in Round 3. Rashad “Suga” Evans completed his march to the UFC light heavyweight title by defeating Forrest Griffin at UFC 92. The undefeated Evans won by TKO in Round 3 in the first-ever title fight between winners of The Ultimate Fighter. Frank Mir won the UFC interim heavyweight title from Antonio Noguiera in the TUF 8 coaches fight. 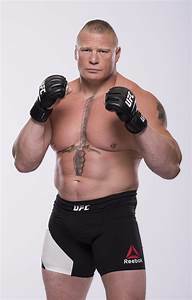 Mir won by TKO in Round 2 to earn a shot at heavyweight champion Brock Lesnar, whom Mir had already defeated. Mir had been forced to drop the heavyweight title in 2004 after a motorcycle accident. 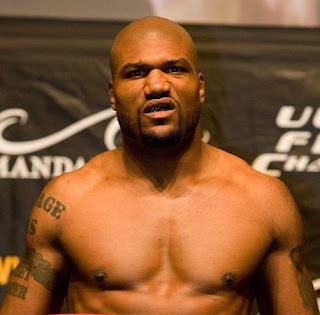 Quinton “Rampage” Jackson avenged two PRIDE losses by knocking out Wanderlei Silva in 3 minutes, 21 seconds. Josh Koscheck capped off a night of brutal UFC action by knocking out Yoshiyuki Yoshida in the main event of Fight for the Troops. Koscheck bounced back from a loss to Thiago Alves less than two months earlier, ending Yoshida’s nine-fight winning streak at the 2:15 mark. “What an honor to fight in front of all you guys,” Koscheck told the troops in the crowd. UFC presented its first show to support the military, as proceeds went to the Intrepid Fallen Heroes Fund. Brock Lesnar captured the UFC heavyweight title in only his third Octagon appearance at UFC 91. The former WWE champion beat Randy “The Natural” Couture by TKO in the second round to complete a stunning transition from the top of the wrestling world to the pinnacle of MMA. The 265-pound Lesnar had a 45-pound advantage on the 45-year-old Couture. More than 1 million fans bought the show on PPV. In the co-main event, Kenny Florian beat Joe “Daddy” Stevenson with a rear-naked choke at the 4:03 mark. 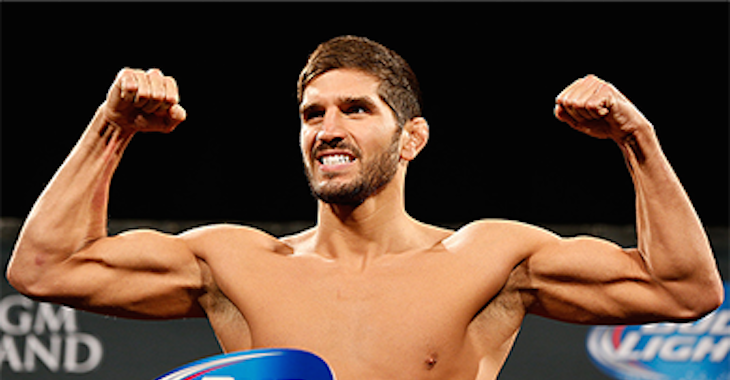 Florian earned a lightweight title shot against B.J. Penn at UFC 101. Michael Bisping improved his record to a sparkling 17-1 by defeating Chris Leben at UFC 89. TUF 3 winner Bisping established himself as a British fighting headliner and as a contender for Anderson Silva’s middleweight title. The event aired live in the United Kingdom and on tape delay in North America on Spike TV. In the co-main event, “The Dean of Mean” Keith Jardine rebounded from a loss to Wanderlei Silva with a split decision over Brandon Vera. Rashad Evans scored an amazing knockout win over Chuck Liddell at UFC 88. 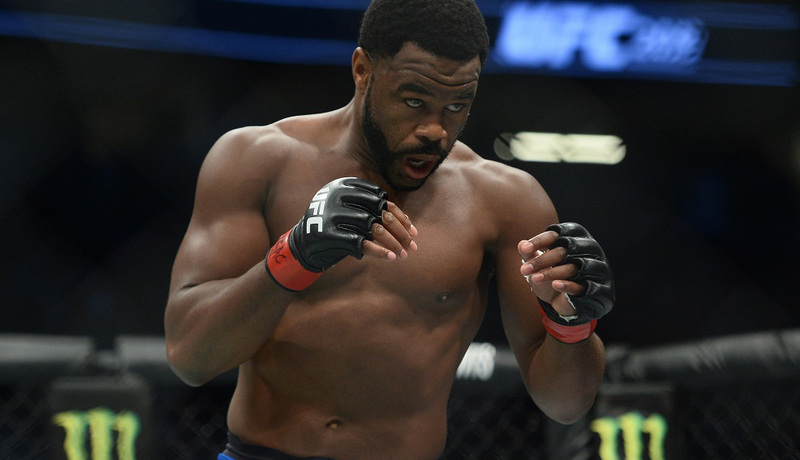 Evans clobbered the former light heavyweight champion with an overhand right in Round 2. Witness the brutality for yourself. "I wanted to beat him at his own game," Evans said. 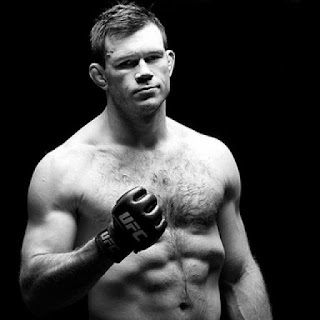 He improved his record to 12-0-1 and earned a light heavyweight title shot against Forrest Griffin at UFC 92. Former middleweight champion Rich Franklin returned to the light heavyweight division to defeat Matt Hamill. Franklin used a body kick to score a TKO in Round 3. 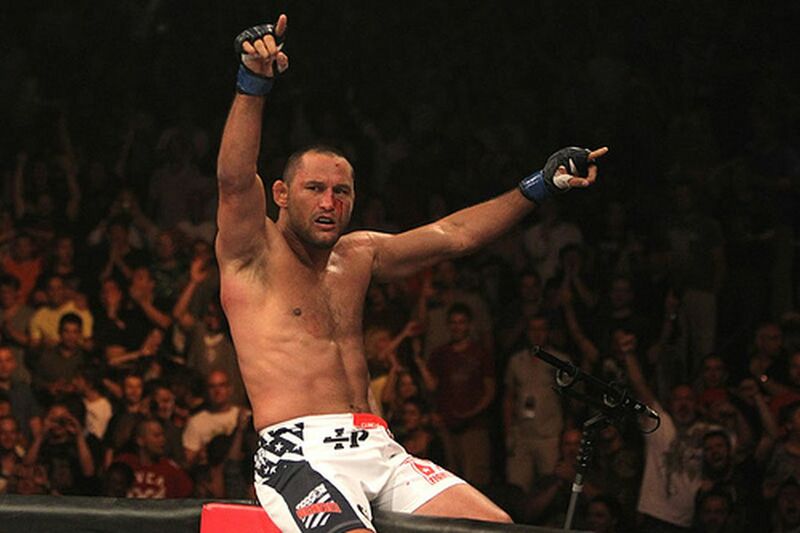 Dan Henderson rebounded from the loss of his two PRIDE championships with a unanimous decision over Rousimar Palhares. Georges St-Pierre dominated Jon Fitch at UFC 87, the company’s first show in Minnesota. GSP cleaned up on the judges’ scorecards: 50-43, 50-44 and 50-44. Fitch was a very worthy opponent, racking up 16 wins in a row to earn the title shot. Kenny Florian won his fifth straight fight in the lightweight division, beating Roger Huerta by unanimous decision. Brock Lesnar scored his first win in the Octagon with a unanimous decision over Heath Herring. Despite his inexperience, Lesnar got a shot at the UFC heavyweight title three months later. Anderson Silva took a break from dominating UFC middleweights to beat light heavyweight James Irvin at UFC Fight Night 14. Silva knocked out “The Sandman” in 61 seconds to improve his UFC record to 7-0. UFC presented this show up against the first Affliction pay-per-view, which featured Fedor Emelianenko beating Tim Sylvia in 36 seconds in the main event. 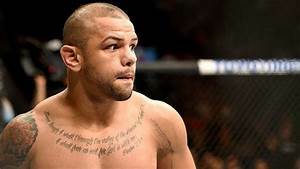 Brandon “The Truth” Vera went down a weight class, debuting in the light heavyweight division with a unanimous decision win over UFC newcomer Reece Andy. Forrest Griffin upset Rampage Jackson to win the UFC light heavyweight title at UFC 86. Griffin became the second winner of The Ultimate Fighter to win a UFC championship, as he beat Jackson by unanimous decision (48-46, 48-46, 49-46). Matt Serra was the first to pull off this feat when he beat Georges St-Pierre at UFC 69. The Griffin-Jackson bout was the coaches’ fight from the seventh season of TUF. At one point in Round 4, Griffin locked on a triangle choke, and Jackson slammed his way out of it. Amir Sadollah had to beat CJ Dolloway twice in order to win the middleweight tournament in The Ultimate Fighter Season 7. Sadollah defeated Dolloway in the semifinals on the TV show, but his opponent, Jesse Taylor went on a rampage in Las Vegas and was removed from the final match. Dolloway defeated Tim Credeur to earn a spot in the finals, but Sadollah used an armbar to force Dolloway to submit at the 3:02 mark. Rampage Jackson and Forrest Griffin were the coaches for TUF 7, and they battled for Jackson’s light heavyweight title in the main event of UFC 86 two weeks later. 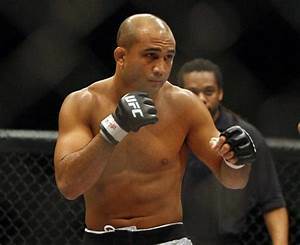 Thiago “Pitbull” Alves won the UFC 85 main event over former welterweight champion Matt Hughes. 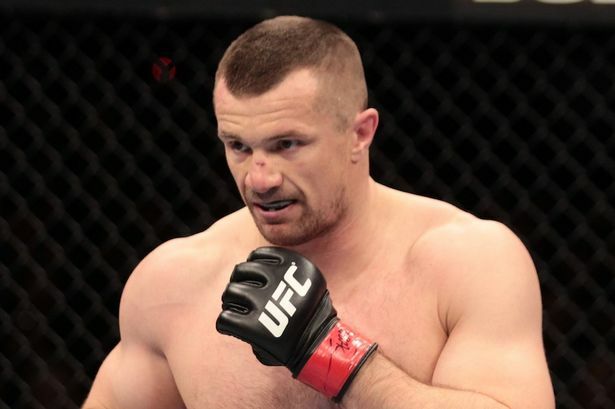 Alves and Hughes battled at a 174-pound catchweight, stepping in after the original main event of Chuck Liddell vs. Mauricio “Shogun” Rua fell apart due to injuries to both fighters. Despite a sprained ankle, Alves nailed Hughes with a flying knee and followed up with strikes to earn a TKO win in Round 2. 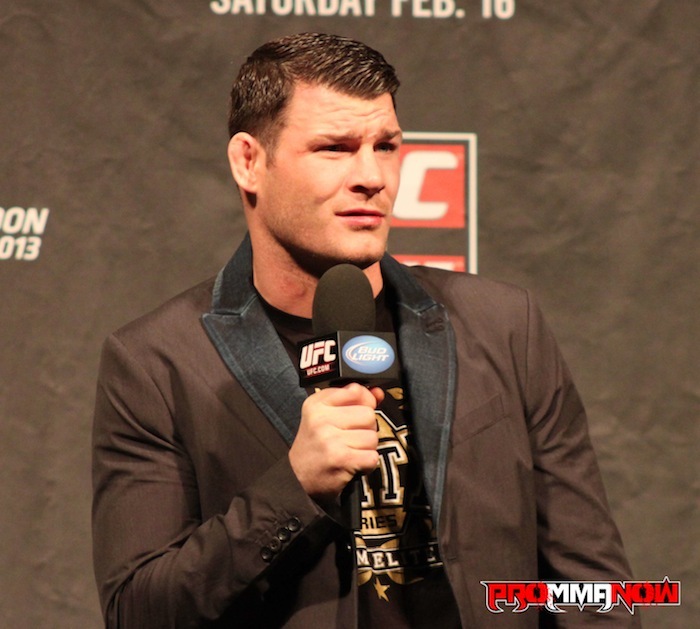 Michael Bisping improved his record to 16-1 with a win over Jason “Dooms” Day by TKO at the 3:42 mark. BJ Penn stopped Sean Sherk from regaining the UFC lightweight title at UFC 84. Sherk had been stripped of the title one year earlier after a positive steroid test. Penn pounded his way to a TKO victory as the bell sounded to end Round 3. UFC 84 drew nearly half a million buys on pay-per-view. All of the other bouts on the main show were in the light heavyweight division. 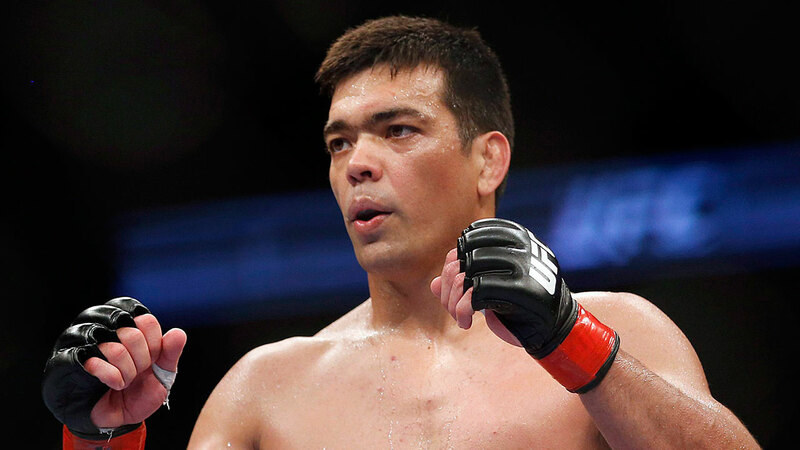 Lyoto Machida beat Tito Ortiz by unanimous decision for the biggest win of his career. 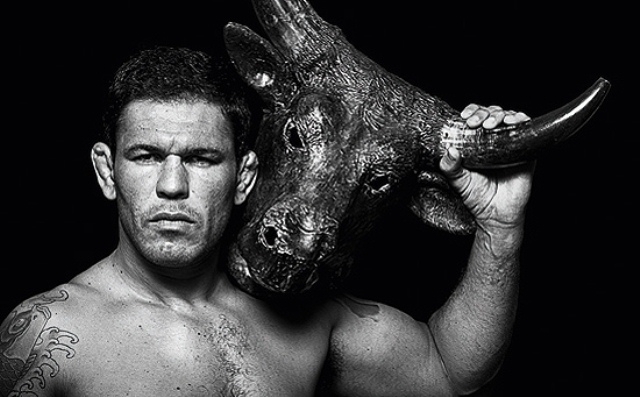 Machida improved his record to 13-0. 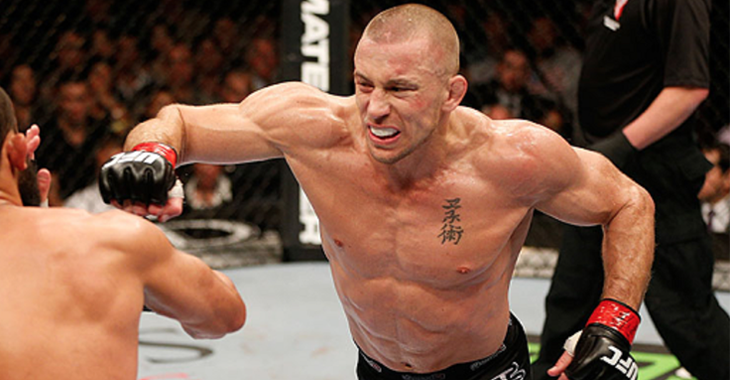 Georges St. Pierre began his five-year reign as welterweight champion at UFC 83. GSP avenged his loss to Matt Serra at UFC 69 one year earlier, using a series of knees to the body to win by TKO late in the second round. UFC made its Canadian debut, as a record crowd of 21,390 cheered their hometown boy on to victory. In the co-main event, Rich Franklin beat Travis “The Serial Killer” Lutter by TKO in Round 2. Gray Maynard won the first leg of his fight trilogy against Frankie Edgar at UFC Fight Night 13. Both lightweights were undefeated heading into the fight, and Maynard got the unanimous decision with 30-27 scorecards across the board. Edgar and Maynard fought twice in 2011 for Edgar’s lightweight title. They battled to a draw at UFC 125, and Edgar won their final encounter at UFC 136. In the main event of UFC Fight Night 13, Kenny Florian scored a TKO win over Joe Lauzon in the lightweight main event. Florian notched in fourth win in a row on a march toward a title shot at BJ Penn, which he received in August 2009. Dan Henderson’s second PRIDE-UFC title unification fight didn’t go any better than the first. Six months after losing his PRIDE middleweight title to UFC light heavyweight champ Rampage Jackson, Henderson dropped the PRIDE welterweight title to UFC middleweight champion Anderson Silva. Silva used a rear naked choke to win the fight late in Round 2. “The Texas Crazy Horse” Heath Herring beat fellow rising heavyweight Cheick Kongo by split decision. Yushin Okami knocked out Evan Tanner with a knee strike in Round 2. Chris Leben beat Alessio Sakara by TKO at the 3:16 mark. In the pay-per-view opener, Jon Fitch improved to 9-0 in the UFC with a unanimous decision over Chris “The Professor” Wilson. Poor Andrei Arlovski, a former UFC heavyweight champion, was relegated to the pre-show. He beat Jake O’Brien by TKO in Round 2. Josh Koscheck used a head kick a flurry of punches to beat Dustin Hazelett by TKO in Round 2. 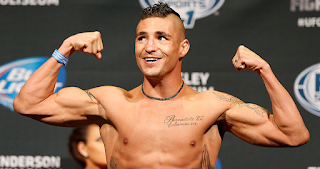 Diego Sanchez, who invented the “YES!” chant, made David Bielkheden of Sweden tap out to strikes late in the first round. Other pre-show results included Luigi FIoravanti over Luke Cummo by unanimous decision; and Jorge Gurgel over John Halverson by unanimous decision. Mike Swick debuted in the welterweight division by narrowly defeating Josh Burkman in the main event of UFC Fight Night 12. Swick improved to 11-2 with a majority decision victory in the battle of The Ultimate Fighter alumni. Two judges scored the fight 29-28 for Swick, while the other called it 29-29. 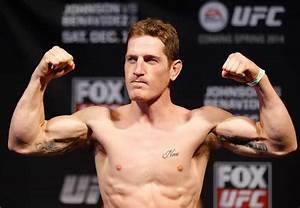 In the middleweight co-main event, Patrick “The Predator” Cote beat Drew McFedries by TKO at the 1:44 mark. 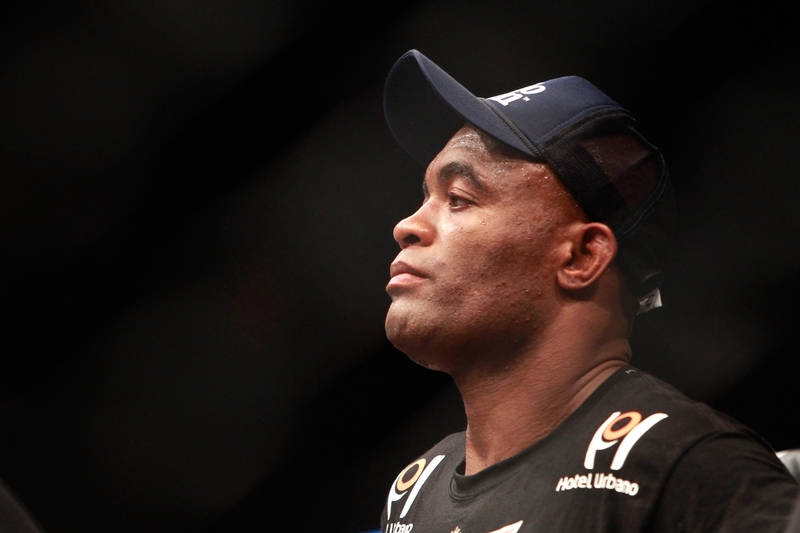 Cote’s third straight win moved him closer to a title shot against Anderson Silva. BJ Penn became the second fighter to win titles in two weight classes at UFC 80. “The Prodigy” beat TUF 2 winner Joe Stevenson win the UFC lightweight title, which Sean “The Muscle Shark” Sherk lost due a steroid-related suspension. 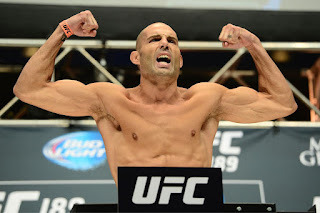 Penn, a former welterweight champion, joined Randy Couture as champs of two weight classes. In the heavyweight co-main event, Fabricio Werdum beat Gabriel Gonzaga by TKO in Round 2. “The Irish Hand Grenade” Marcus Davis won his 11th fight in a row, knocking out Jess Liaudin of France in 64 seconds.